Description Factory MSRP: $54,790 Dealer Discount of $1,000 off MSRP Price includes: $1,500 - GM Down Payment Assistance Program. Exp. 04/30/2019 This allowance must be used as down payment on an standard rate APR finance contract through GM Financial, $2,000 - Chevrolet Conquest Purchase Private Offer. Exp. 04/30/2019All advertised prices are net of factory rebates. Leases are excluded. Please check with dealer for eligiblity for the listed rebates. See dealer for details.Contact Connell Chevrolet today for information on dozens of vehicles like this 2019 Chevrolet Silverado 1500 LT Trail Boss. Pull up in the vehicle and the valet will want to parked on the front row. This Chevrolet Silverado 1500 is the vehicle others dream to own. Don't miss your chance to make it your new ride. Taking the road less traveled has never been more fun than with this 4WD. 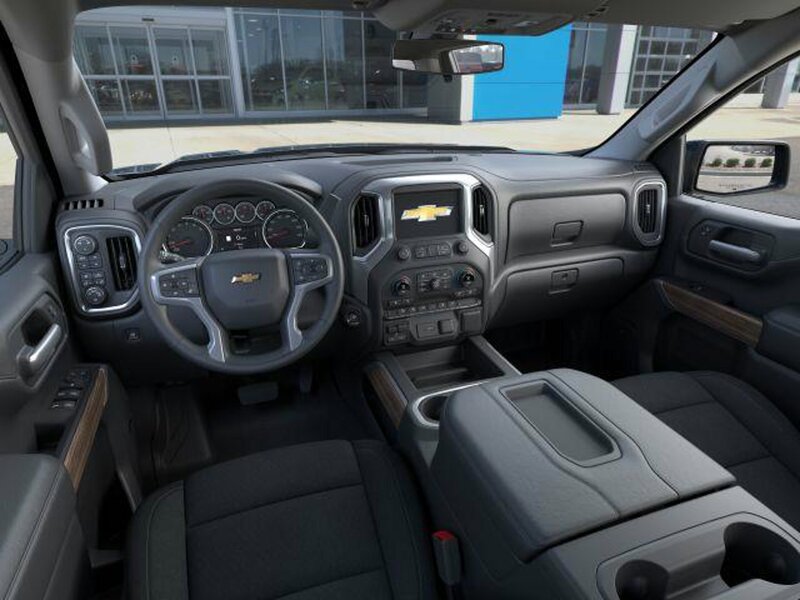 With improved performance, mileage and acceleration, this 2019 4WD Chevrolet Silverado 1500 LT Trail Boss is king of the off-road. The look is unmistakably Chevrolet, the smooth contours and cutting-edge technology of this Chevrolet Silverado 1500 LT Trail Boss will definitely turn heads.